Most Christians understand the importance of memorising scripture; of writing God’s word on our hearts so that we may be able to live by it on a day by day basis. Those occasions where a scripture just pops into our heads when we are caught up in a situation, giving us a warning or guidance that is needed in the moment, are unlikely to happen if we have nothing stored up in our memory for just such an occasion. The same applies to helping our children memorise bible verses. There are so many ways to go about teaching our little ones how to remember bible verses, the benefit to us being that as we do it together with them we are storing up scripture in our own memories as well. We have tried a few different methods along the way, some of which I’ll outline for you below. Our favourite system so far (and the one we are using at the moment) is scripture set to song. We start a new verse each Monday during circle time and find that by Friday even our youngest participant (4 years) has easily memorised the song and therefore the scripture passage. 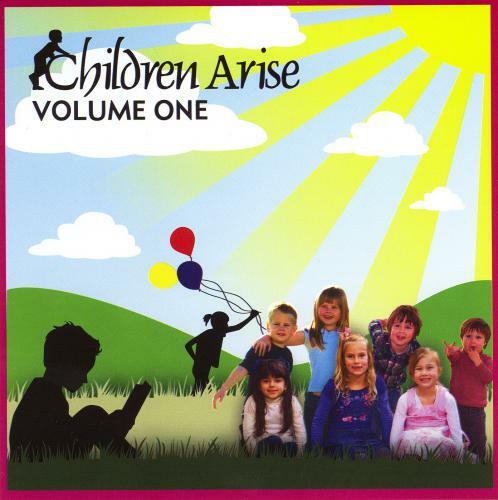 There are a few resources around for this but we like the Children Arise CD Series. The music is professionally produced, with children’s’ voices and catchy tunes. They also stay true to the scripture, pretty much singing straight through word for word rather than altering and manipulating the bible verses to fit the music as some other resources do. Another system we like is the Scripture box from Simply Charlotte Mason. Scriptures are stored on index cards in a simple flip box system and read through on a daily basis until all family members are able to recite the verse. The system details how to cycle through and review verses already memorised and is simple to set up and use. We have a large white board on the wall near our dining room table and we have written verses we are working on up here. We have redeemed those wasted moments when children tend to lose control while waiting for the meal to arrive at the table by reciting the verses we are working on. Another great place to pin scriptures that you want children to remember is on the bathroom mirror (you can even write it on in permanent marker and remove once it is well-known) or on the back of the toilet door. When there’s nothing else to do it’s amazing how many times your eyes will travel back over whatever is in front of them. Pin verses around and about the house anywhere that they are likely to be noticed and read. Above the washing machine to glance through when throwing a load on, above the kitchen sink to contemplate while doing the dishes, above the computer keyboard or any other place you or the children will likely have a spare mental moment to read through and commit to memory. Reciting verses as part of family devotions can also be very rewarding. Perhaps children who have memorised their verses with Mum can have the thrill of reciting to Dad what they have learnt. I have printed up certificates with the bible verses on them for each child to place into their own keepsake box or pin up on their pinboard as a small reward for learning each one. However you decide to do it, it’s not as hard as you think once you get going. For me, I need to get a whole bunch prepared ahead of time so that there is no day-to-day planning involved, otherwise it just didn’t happen. You may like to choose scriptures on a day by day basis that are related to character or behavioural issues you are currently dealing with. Which ever way works for you, choose one and get started!